Aberdeen could benefit from a major economic boost if proposals for a new airport in the south east of England go ahead, an expert report has predicted. The forecast – based on the provision of three new daily connections – suggests the links could be worth £346million a year and help create the equivalent of 2,810 jobs. The Airports Commission, formed by the UK Government, is currently working on recommendations for airport expansion in the London area. But the new study, commissioned by Transport for London (TfL), argues that regional links can only be fully protected by another airport, rather than a third runway at Heathrow. The findings by York Aviation and Oxford Economics show that the wider economy in Aberdeen, along with Inverness, would benefit hugely from a new airport. 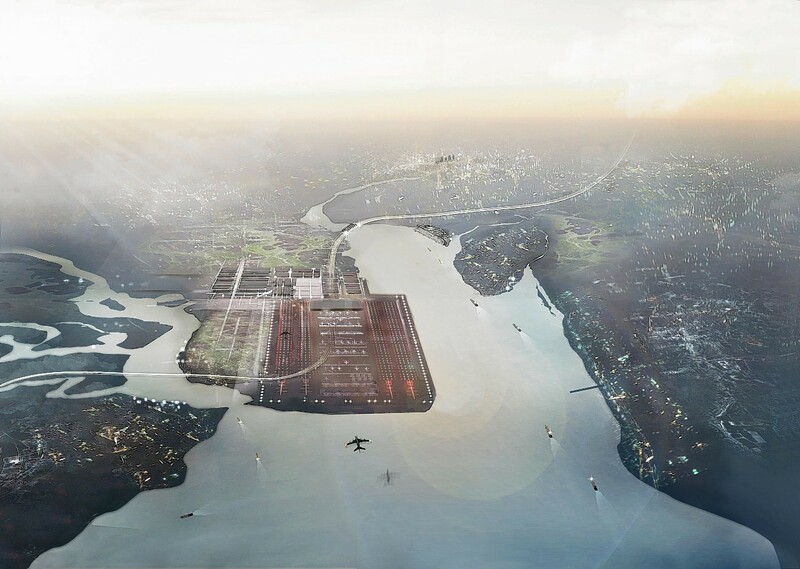 The Mayor of London, Boris Johnson, has argued that expanding Heathrow would be “crackers” and instead advocated a new development on an artificial island in the Thames Estuary, previously dubbed Boris Island. The forecasts were welcomed last night by leading business figures in the north east. Aberdeen and Grampian Chamber of Commerce research and policy director James Bream said: “The report is an important addition to the debate on UK aviation capacity because an effective hub airport is crucial to business in our region. Douglas Craig, chairman and managing director of oil and gas firm Craig Group, said it was very important to protect the current “strong connections” from Aberdeen in the years to come. The report notes there is “little danger” of the existing Aberdeen to London route being dropped “under any circumstances”. However, it argues a new four-runway airport could carry about 1.6million passengers a year by 2050, with a “significant business component” and nearly 700,000 onward connecting passengers. It adds there would be more than £38million a year in “direct economic benefits” to passengers and the airport, around £5.3 million more than from a third runway at Heathrow. The £346million figure is calculated using gross value added (GVA), an economics measure of the value of goods and services produced in an area.